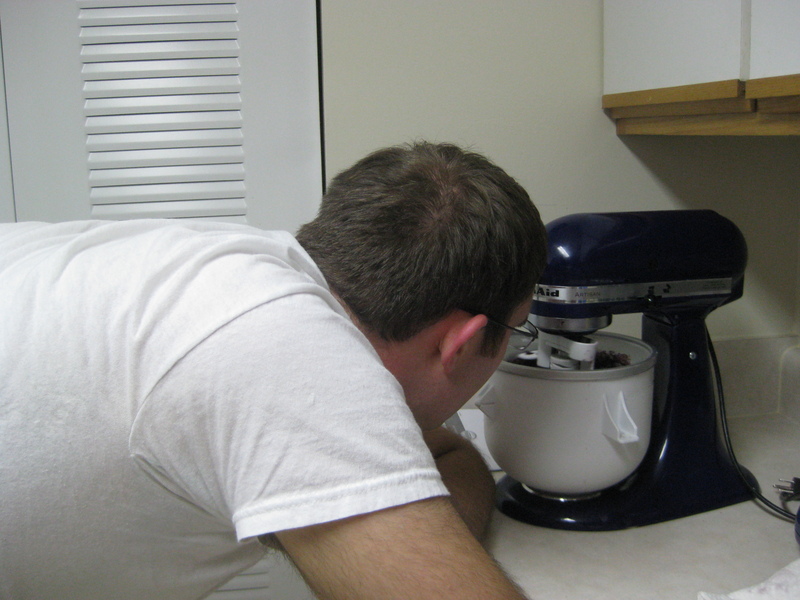 So a couple weekends ago Karl and I bought the ice cream maker attachment for our Kitchenaid Mixer. The first recipe we tried was for vanilla ice cream. That recipe taught us that we have to follow the instructions! First, you have to freeze the bowl for at least 15 hours. Second, whatever mixture you want to turn into ice cream has to sit in the refrigerator for at least 8 hours. For all you engineers out there, you are basically doing a real-life heat transfer problem. The closer the ice cream mixture is in temperature to the bowl, the faster it will cool down and turn into that good mixture. Patience is definitely key to making ice cream! Since that batch did not turn out as well as I would like, it did not make the blog cut. 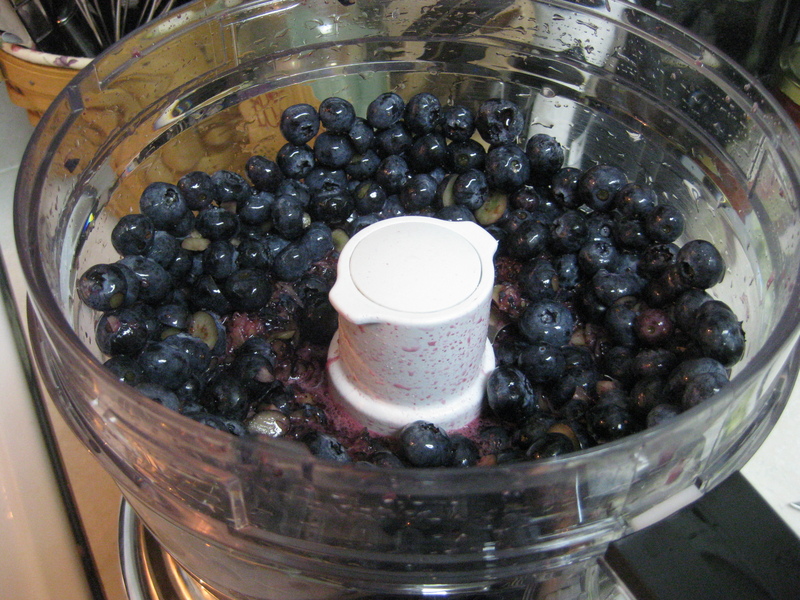 Our next ice cream experiment was blueberry sorbet. Have you noticed that July has been the month of blueberries? I just couldn’t help but find recipes to use them since they have been so plump and tasty this month! Just a word of warning – next month will probably be peaches and September will be apples :-). Anyway, back to the sorbet! We had a lot of confidence going into our second attempt with all that we learned making the vanilla ice cream. 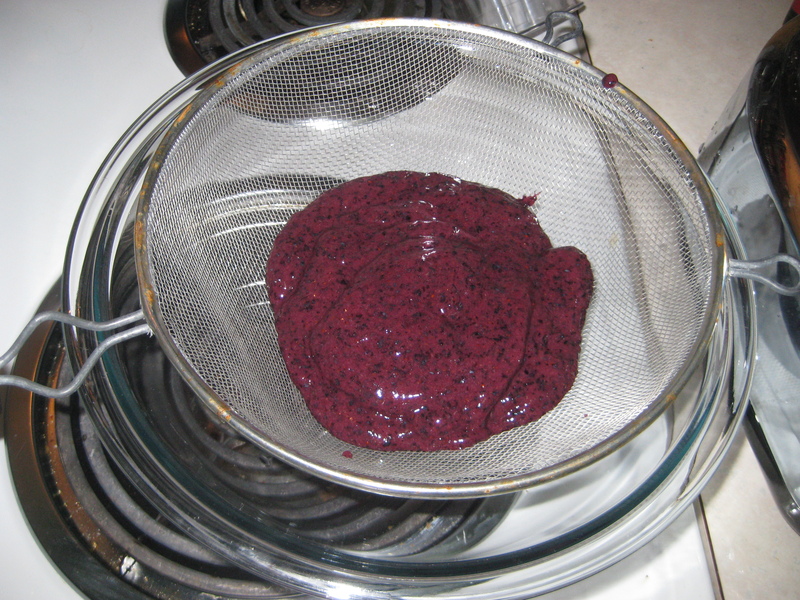 I made the blueberry and simple syrup mixtures one night before bed and the next night after work we put it all together! 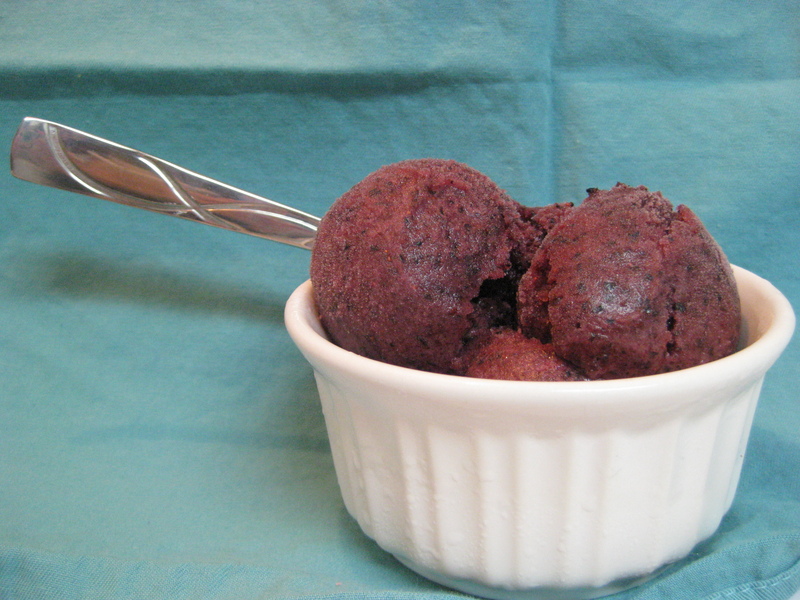 The consistency of the sorbet came out much better than our first ice cream attempt, so we knew we did something right! 20 minutes into the mixing and we had some soft sorbet. 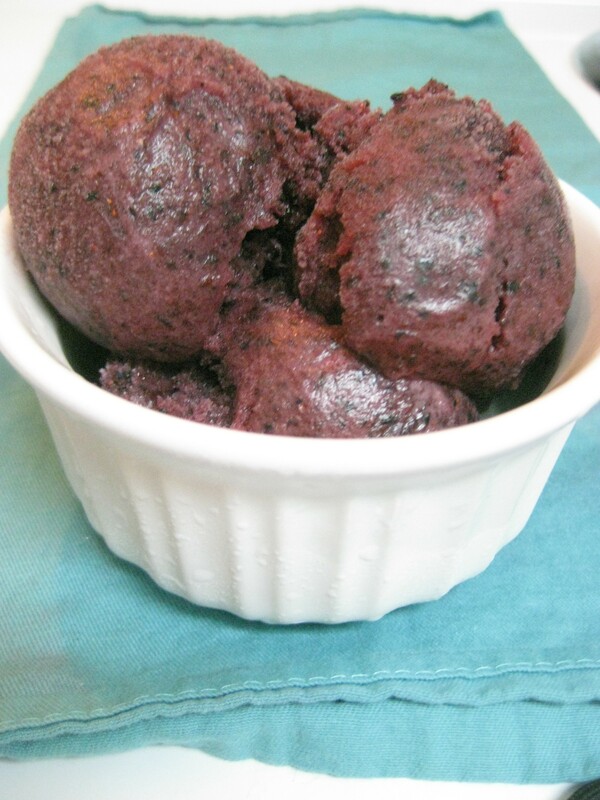 2 MORE hours in the freezer and we had perfect sorbet! It definitely satisfies your sweet tooth. 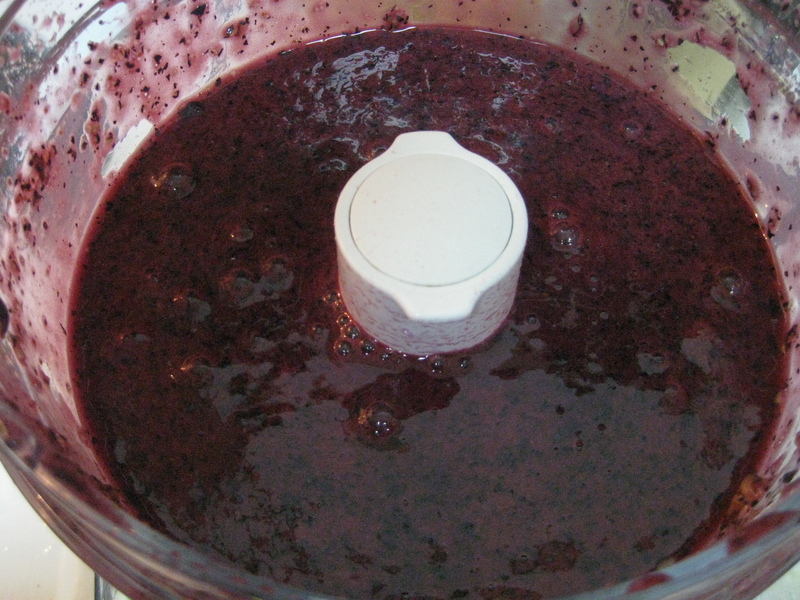 In fact, I was surprised at how much sugar went into the 2 quarts of sorbet. I was always under the impression that sorbet was healthier than ice cream, but I’m not really sure if that is true. I mean, I know that ice cream has a lot of cream, but the first batch I made only contained 1/4 cup of sugar. The sorbet on the other hand is basically fruit (lots of natural sugar), water, and sugar. So if any of you had the same misconception as me be sure and watch your portion size! Refrigerate overnight or at least 8 hours. 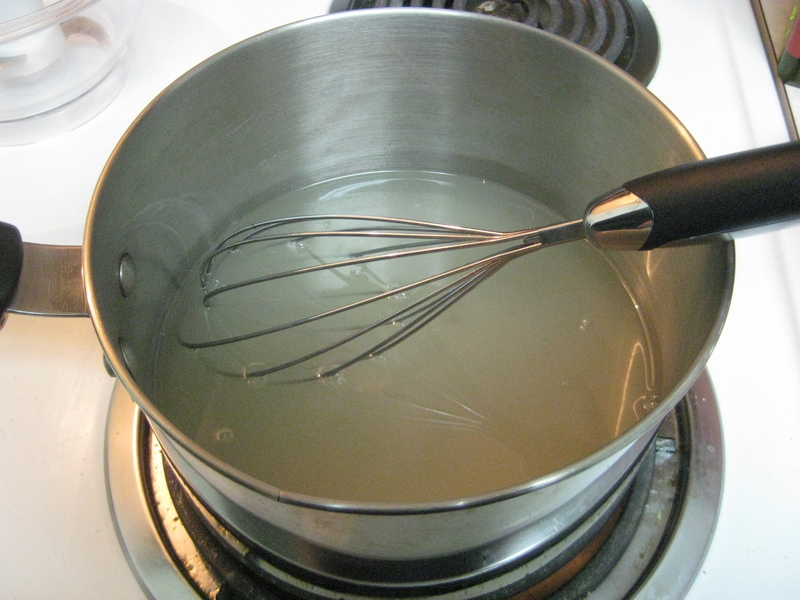 Cook and stir constantly for 10 minutes or until the sugar is completely dissolved. Immediately immerse pan in an ice bath, stirring constantly until the mixture comes down to room temperature. 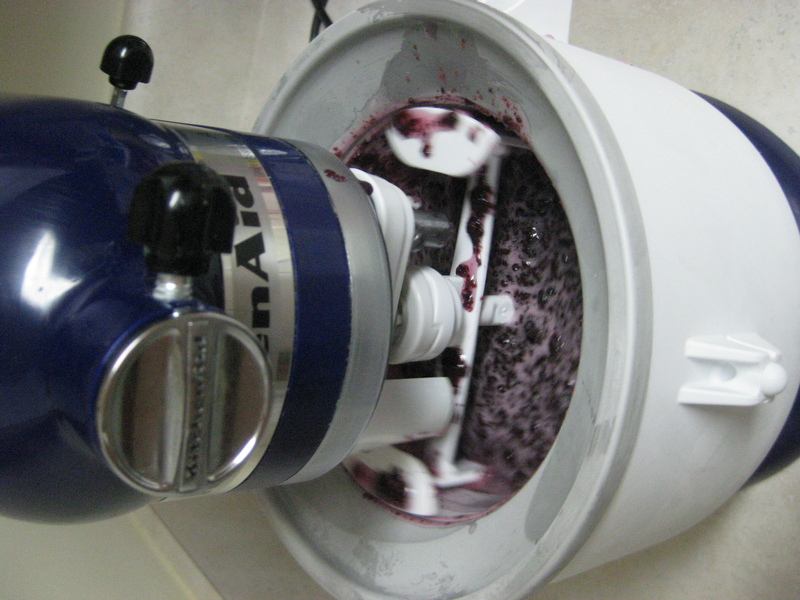 Mix according to your ice cream maker’s instructions for 15-20 minutes – be patient!! Freeze and allow to harden for 2 hours then ENJOY!